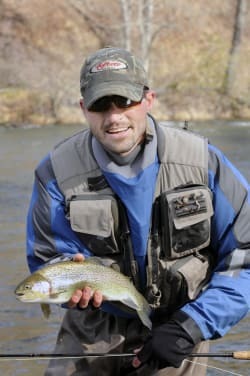 Here is our weekly Fly Fishing Report. Please feel free to download. Click HERE for a link to river access points in Jackson County. Click HERE for a link to river mileage charts. 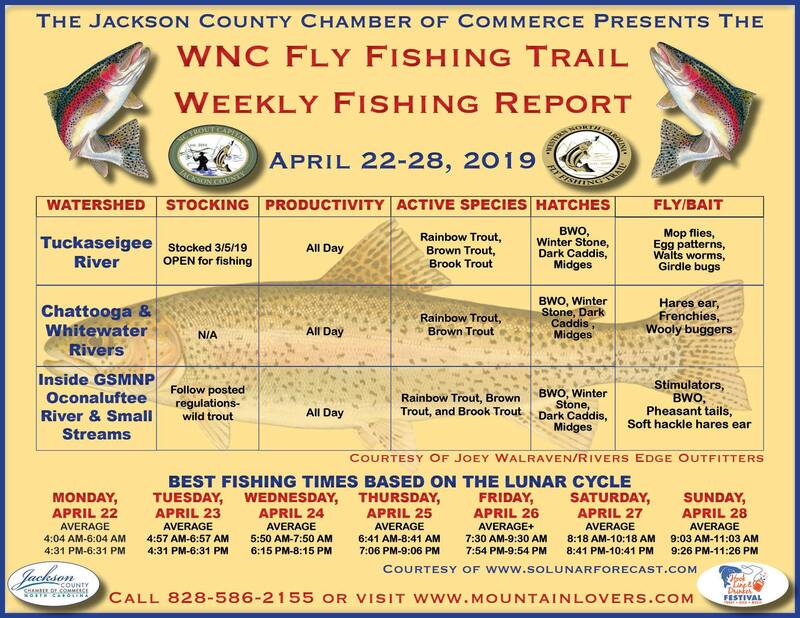 Jackson County features some of the best trout waters anywhere and is home to the nation’s first fly fishing trail - the Western North Carolina Fly Fishing Trail®. The trail maps out 15 prime spots to catch brown, rainbow and brook trout in the crystal-clear streams of the Great Smoky Mountains. Visitors had long recognized Jackson County as a premier destination for fly fishing, but often times weren’t exactly sure where to cast a line. So, the trail was created in 2009 to guide anglers to our best fishing locations. Whether you’re looking for wide-open rivers or secluded mountain streams, the WNC Fly Fishing Trail® has you covered. The trail website – www.FlyFishingTrail.com – provides a map for download, descriptions and GPS coordinates for all 15 spots, plus a gallery for users to upload photos of their catches. It also includes a weekly fishing report. The centerpiece of the trail, and of Jackson County fishing in general, is the Tuckaseigee River. It is the county’s largest body of water, flowing some 40 miles from southeast to northwest. It has been referred to as “Western North Carolina’s best trout stream for fly anglers,” by The Charlotte Observer. Need guide service? Click HERE to see a list of members that provide quality service!